Along with TAX Holiday, TOYOGO Malaysia HARI RAYA PROMOTION is BACK! 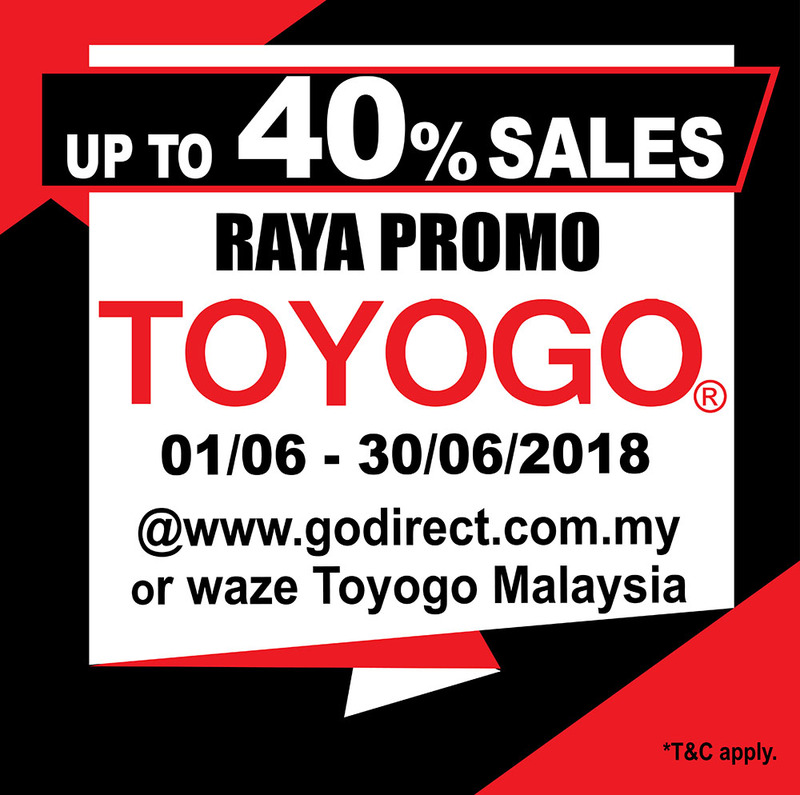 Enjoy up to 40% off TOYOGO products + 0% GST! Think our price is already low? We've made it even lower! Don't miss out on this opportunity to shop for high quality TOYOGO household & industrial products at irresistible price! Plastic storage products, plastic shelves, plastic cabinets, storage drawers, plastic furniture, kitchen storage and more are up for grabs! Over 200 items to choose from! Address: 19, Jalan Rebana, Off Jalan Seruling 59, Taman Klang Jaya, 41200 Klang, Selangor. WAZE/Google Maps: Search "Jualan Gudang TOYOGO"
Promotion also valid online! Shop online & get item delivered to your doorstep! Promotion valid: 01/06/2018 - 30/06/2018. T&C apply. This promo was running on the all channels to the last three weeks for the great opportunity of the time to elapse. With the promo only about the dissertation buy online have links to distribute the all logical progresses on the products which have stridden.